Borderlinx | Buy Rowkin and ship worldwide with Borderlinx. Cheap rates guaranteed. One look at Rowkin and you’ll quickly see why its one of the most innovative companies in the audio industry. As the creators of the world’s smallest wireless Bluetooth earbuds, Rowkin offers a unique experience that any audiophile should try. Available in several styles, Rowkin earbuds are truly wireless. No cords, no tangles. Just tiny, nearly invisible ear pieces that fit comfortably and provide stereo sound. There’s also a built-in microphone so you can take hands-free phone calls and activate voice assistants like Siri and Cortana. You can even wear them while working out because Rowkin earbuds are sweatproof and waterresistant. One of the coolest features from Rowkin is the portable battery charger. It’s the perfect way to charge your earbuds on the go, but it also doubles as way to keep your earbuds safe and in one place when you’re not using them. Rowkin headphones are only available in the U.S., but you can use Borderlinx for international shipping. 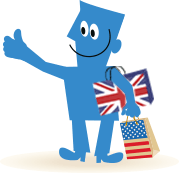 Shop Rowkin in the USA and ship worldwide to your home the easy way with Borderlinx. Use the Borderlinx Shipping Cost Calculator to estimate shipping fees and taxes & duties to your country. Borderlinx has all the tools you need to painlessly ship Rowkin internationally, including concierge, free repacking and package consolidation.